I am amazed at what two days away from reality can do for a person’s sanity. The first weekend in April a dear friend of mine from college and I road tripped it down to Kansas City, MO for a business, blogging, and networking conference called Go Blog Social. Based on the reason for the trip (the conference) it truly would have been an inspiring weekend no matter what. We were lucky for the chance to hear from many go-getters and successful bloggers at the event! But the truth is, the event isn’t what saved me - yes, after two weeks straight of working 15 hour days with a sinus infection on top of it I needed saving. What saved me was the new perspective, the new city, and the new people. I’d like to think that my life isn’t a mundane one. I don’t work a 9-5. My job as owner of Woodbury Lanethrows a new curveball (or new opportunity) my way every day and my job as a nanny for a 1 and 3 year old keeps me on my toes. Nevertheless, taking a break from my crazy jobs for 48 hours was more rejuvenating that I could have possibly imagined. Here’s the thing, my friend and I spent about $200 (each) on food, gas, and our hotel for the weekend, but what we gained from a quick getaway was more than our purchases. We gained a new perspective by visiting a city neither of us had been to before, we made new friends by attending a conference with likeminded individuals, and we made memories that will last for years, because when you’re in a car with one other person for 8 hours straight you tend to learn (and laugh) a lot. Yes, I understand that not everyone can just spontaneously up and leave their life or city for a weekend. But if possible I encourage you to! Take a day or two and head to the nearest city that you’ve never been to with an old friend. Your mind will thank you. P.S. This friend I mentioned road tripping with is new blogger babe Profechic. 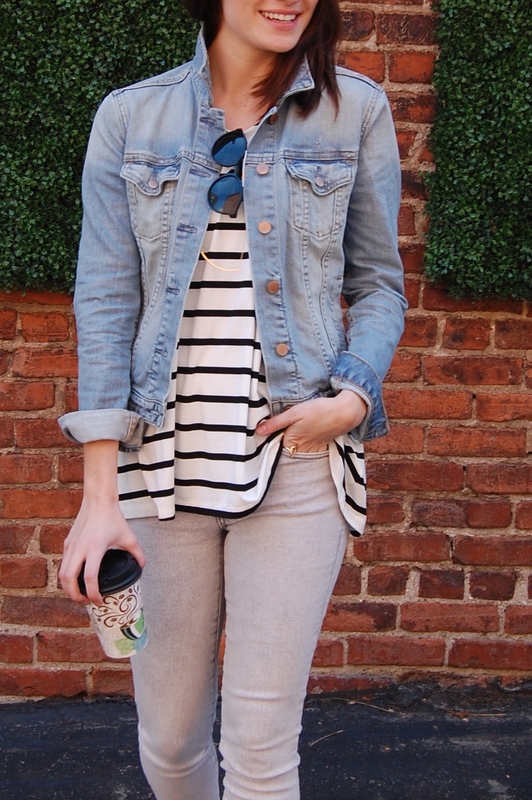 Take a look at her amazing professional style blog for working women at profechic.com!